ANBAD has just ceased living out of a rucksack and has a place to call home again. This might not sound like a huge deal, but 10 months spent whittling daily necessaries down so that they fit into a bag has, simultaneously, both a wildly calming and maddening effect. It’s an interesting – if perhaps not recommended – experiment in minimalism, decision making and creative compromising. 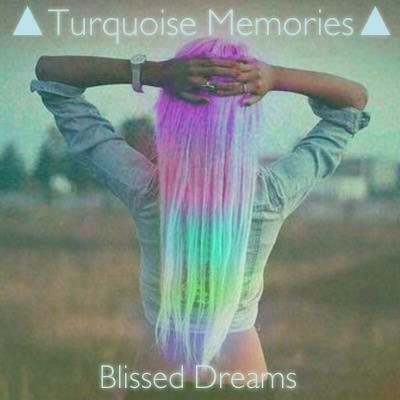 Turquoise Memories‘ All I Need To Say has a similar dichotomy – a wilfully calm, ponderous pace, but peppered with disembodied vocals detuned to the point of anxiety. OK, so far, so de rigueur – who doesn’t detune their vocals these days? – but as they squark over soft cascades of synth and snappy drums, you realise that some crazes catch on for a reason. All I Need To Say might take cues from its peers, but this is no crime, and the results are almost overwhelmingly euphoric. As a side note, the sudden widespread re-appropriation of what, to these old ears, sounds a lot like mid-to-late-90’s commercial house music, is endlessly fascinating, especially when performed with as much finesse as Turquoise Memories. Posted on November 6, 2012 by Joe Sparrow. This entry was posted in Headline, Today's New Band. Bookmark the permalink. ANBAD’S BEST NEW BANDS OF 2012: IT BEGINS! (+ BONUS BAND, OMG) | A New Band A Day!